WASHINGTON: As the Zika virus spreads in the Western Hemisphere, healthcare organizations are embracing traditional and social media to assuage fears and keep people safe. Individuals can contract the virus from a mosquito bite, according to the Centers for Disease Control and Prevention. Symptoms, which can last up to a week, include fever, rash, joint pain, and red eyes. Reports from Brazil also indicated "birth defects and poor pregnancy outcomes" have been linked to the disease, according to the government agency. The CDC has published an informational page, with links to travel notices and a Q&A on the topic. Visitors to the page can sign up for email updates. The organization is also using Twitter to keep the public informed. Kate Connors, director of media relations and communications at the American Congress of Obstetricians and Gynecologists, said the organization is receiving requests from a wide range of media outlets. The organization has aligned with the CDC for its outreach efforts. Since the virus can cause birth defects, the Congress is asking women who are or may soon be pregnant to avoid travel to affected areas, said Connors. "Overall, we prefer for women to delay their trips, adding that the group has tips for women who are traveling, such as wearing long sleeves. The ACOG is reaching out to the public through Twitter and Facebook. It also released a practice advisory because some patients are turning directly to their doctors for advice, Connors noted. It has also rolled out a landing page about the virus and associated risks. In an effort to stave off widespread panic, like during the Ebola virus outbreak in 2014, the White House could soon develop its own effort to educate the public about Zika, making it clear that it poses a different threat than Ebola, according to The Hill. The World Health Organization is anticipating 3 to 4 million Zika cases this year, and the group plans to convene to discuss its spread. So far, the virus has hit 23 countries and there have been 31 confirmed cases in the US. 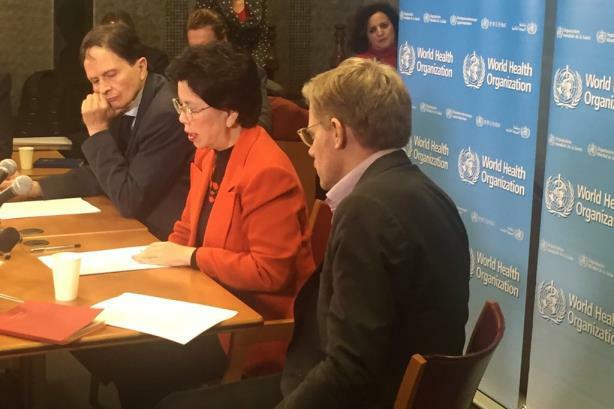 The WHO issued a statement on Monday noting that its emergency committee met via teleconference to investigate the spread of the disease in Latin America and the Caribbean. It also tweeted about the meeting and its declaration of a public health emergency. Last week, it posted a video of a health expert answering questions about the disease. What is #ZikaVirus?Is there treatment?Should I avoid travelling to areas where #Zika virus is occurring?What can I do to protect myself and my family?